It has been eleven whole days since I last posted anything, holy cow! I don't know how time seems to go so fast sometimes. Let's just dive right into this review, shall we? The first month of 2017 started with me at a new job. We were still so fresh in our grief, but were starting to get back to real life. 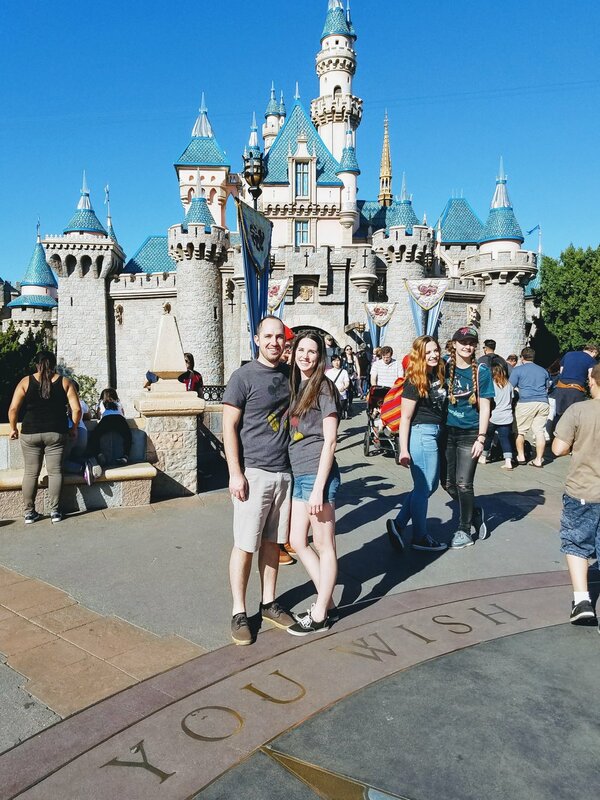 After two weeks at the new job, we had a little weekend away to Disneyland. We also got Carter's final autopsy results this month, which gave us a little more closure. February wasn't particularly exciting, as far as I can remember. March was a good month! I went to Vegas with my girls, then a few days later we found out we were pregnant again! That month, we also found out we were getting our first nephew. In April, we learned we were getting another nephew! We also went to Amsterdam, Brussels, and Luxembourg. We celebrated Brandon's birthday at the beginning of May. About a week later, we learned we would be losing our little bean. The rest of May was spent recovering and grieving. We spread her ashes on Memorial Day. June was mostly uneventful (I think). My parents came down at the end of the month, and on the 28th we left for Disneyworld. We spent the first few days of July with Mickey and Harry Potter. It was nice to get away for a little bit and not be grown ups for a little bit. We also went to Denver with my family to visit my brother, and had the best time! Later that month, on the day that marked 39 weeks since we learned that we had lost Carter, we found out we were expecting again. Five days later I started bleeding. August started off on a very rough note, but we still made the most of it. We celebrated six years of marriage, and spent the day seeing our babies and being together as a family. September brought another Disney trip, this time, a weekend in the land with our friends and their kids. On the weekends we were home, we spent a lot of time driving back and forth between home and the babies. We launched our Flying for Time project, and raised enough money for the first CuddleCot in one week! October was a hard month, as we knew it would be. We kept getting orders, but time seemed to slow down as we got closer to Carter's birthday, and little bean's due date. We left Utah on October 18th, the day she would have been here, and flew to Vermont to see the fall colors. That trip was so nice. It was just what we needed in the midst of everything. Carter's birthday was perfect. We drove to Logan to see him, released a few balloons, and spent some quality time with him. 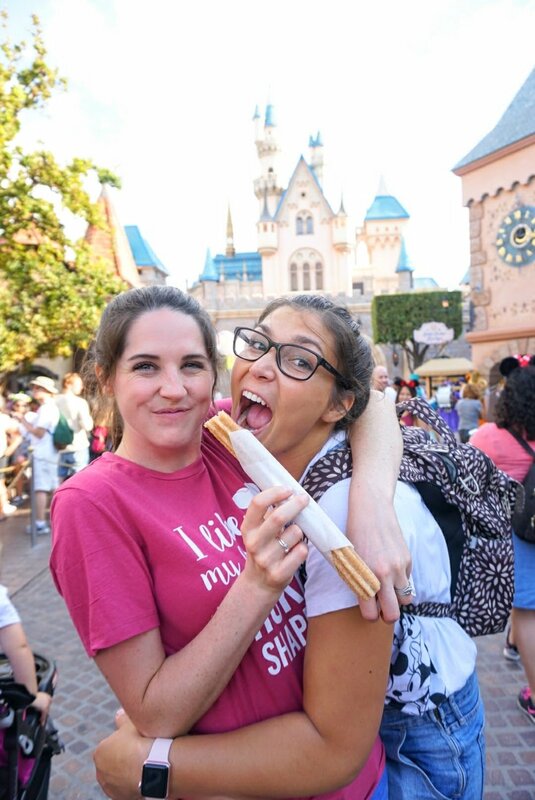 The next day we flew to Disneyland for a quick 24-hour pick me up. 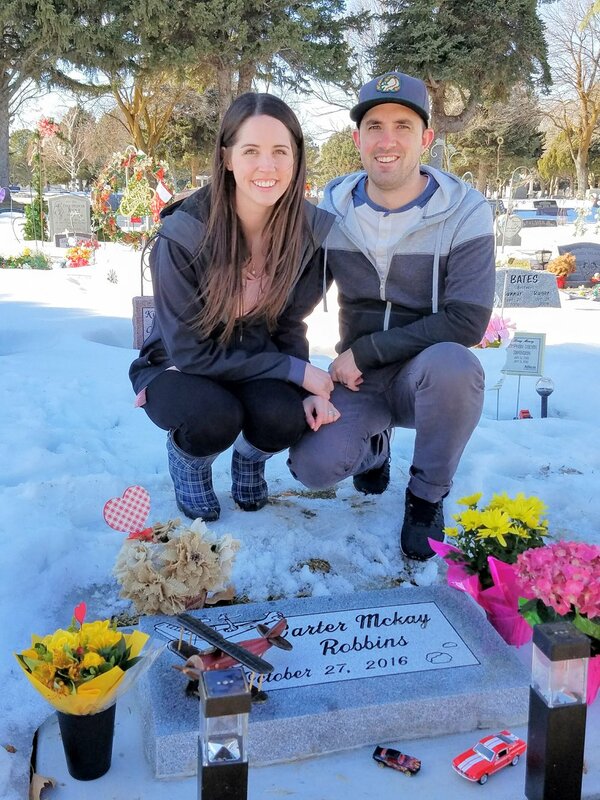 November seemed to be a new chapter, as we rolled into year two without our boy. The holidays were easier to be excited about this year, but I still enjoyed just spending a ton of time at home with Brandon. We spent Thanksgiving with the family in Logan, then got the babies all ready for Christmas. December was one of my favorite months of this year. We spent every single weekend at home, with the exception of one trip to Logan to donate the CuddleCot, which was easily a major highlight. We got a fireplace, and spent many hours on the couch watching Christmas movies by the fireplace. We did all our Christmas shopping together, wrapped gifts together, and really spoiled our families. We did Christmas with my family, came home two days later, then left another two days later to go to my cousin's wedding. As this is being typed (on the 30th), we've been home for seven hours, and I am SO looking forward to the next two days at home with Brandon. 2017 was definitely something. A hard year for sure, but filled with beautiful moments. My very favorite thing is how much time Brandon and I have been able to spend together. Family, our little family, has become an overwhelming priority (in a good way), and there is nothing I look forward to more than being at home together at the end of the day. I don't know that I'm necessarily looking forward to 2018, but we will see what it brings. Hope for the best, prepare for the worst. Bring it on, 2018.